I apologize for the lighter posting lately as I have been trying to get a lot of work done as the holiday season approaches! 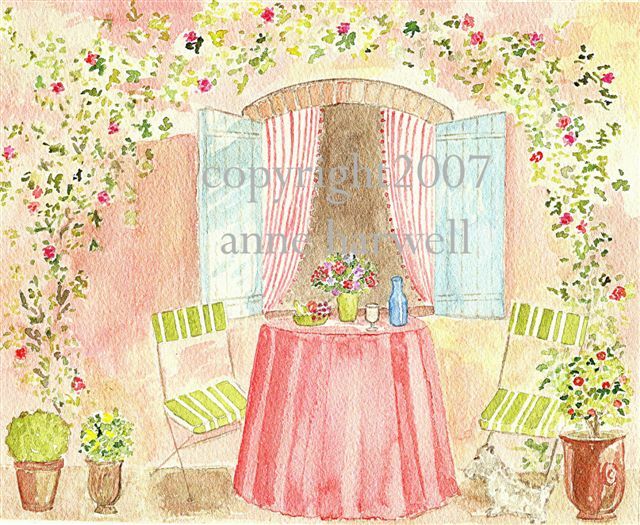 This is a new print I've added to my store - Provence Terrace. It's available here. I saw this plate last night at my local Barnes and Noble and thought how much I would have enjoyed one of these when I was small. They are very much like those "Wooly Willy" magnetic boards that provided endless entertainment on car trips. 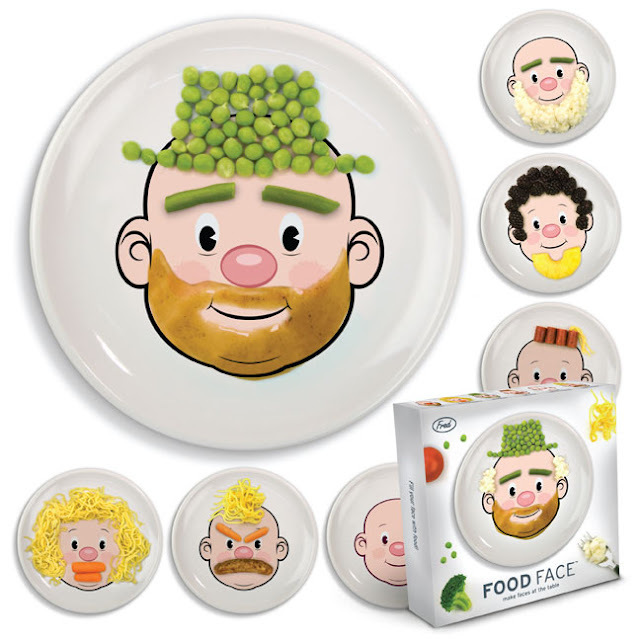 If you already have kids that dawdle at the table, this might not be something you want to give them, BUT I thought they were both adorable and affordable. Available online here. 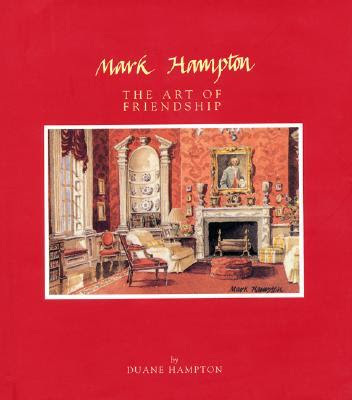 Mark Hampton - The Art of Friendship. A collection of Mark's watercolors. The late Mark Hampton is a man best known for being a world class interior designer and decorator, however, he excelled as an artist as well. I first saw his work as a young girl growing up in Michigan. 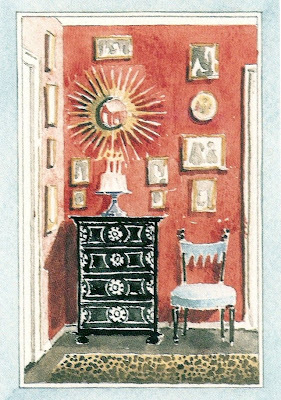 My grandparents had proudly displayed a Christmas card from the President and Hampton's watercolor illustration of a room in the White House graced the front. I was captivated by the detail and overall beauty of his work and have maintained an interest in Mark and his career ever since. Mark, a Plainfield, Indiana native, was a man of many talents and a very diverse background. He attended DePauw University, with a junior year abroad at The London School of Economics. 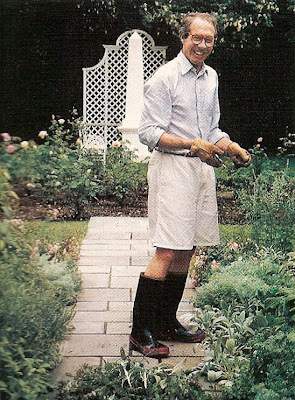 His time spent living there had a profound influence on his tastes and interests and he became a lifelong Anglophile. 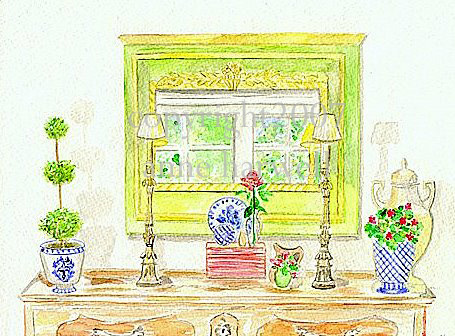 His keen artistic skills opened the door for a job with the very hip and legendary English decorator, David Hicks. He returned to DePauw to complete his history degree and then went on to University of Michigan Law School for a brief year until he decided to switch to Art History. From there, he went on to receive a master's degree in fine art from New York University. He was hired for a Summer job by Mrs. Henry (Sister) Parish, the legendary American decorator, and this was instrumental in feeding his already growing interest in the decorative arts. He was awarded a Ford Foundation fellowship upon graduation, which facilitated travel abroad and curatorial study at the Metropolitan Museum and Museum of Modern Art. Upon completion of his studies, he started out as an American representative for David Hicks, followed by a six year stint at the venerable American decorating firm McMillen. He finally started his own business in 1976, Mark Hampton, LLC, which continues to thrive to this day, headed by his daughter, Alexa Hampton, who has distinguished herself in her own right. 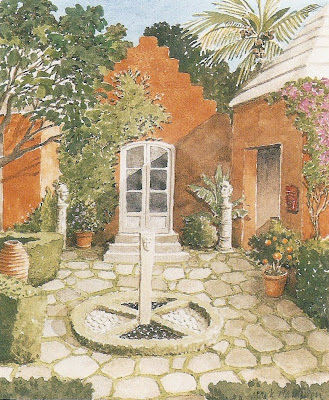 During his long and fruitful career, Mark painted countless watercolors, many of which are included in a book created by his wife, Duane, in a book titled "Mark Hampton, The Art of Friendship". 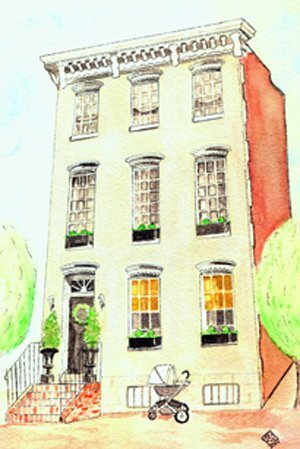 On many occasions, Mark created personalized works of art, in the form of handpainted birthday cards, for family, clients and friends. Even though Mark counted presidents, politicians, celebrities and socialites as his clients and companions, he never lost his down-to-earth Midwestern values. 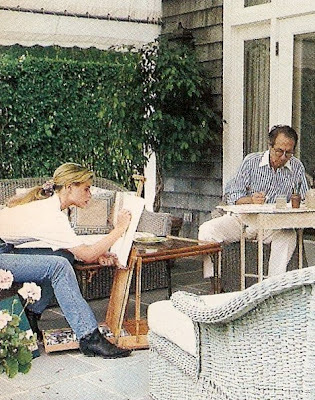 These were most evident in his work ethic, his warmth and his devotion to his wife Duane, daughters Kate and Alexa and his scores of friends. His accomplishments, too vast to list here, are many and impressive. 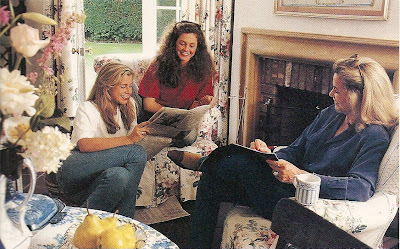 Perhaps he is best known for being the "First Decorator" for the senior Bushes when they moved into the White House in 1989, having already done their quarters at the residence of the Vice President. 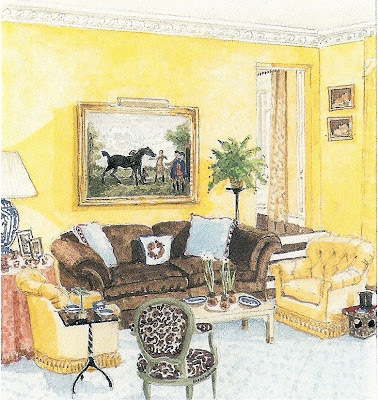 He also redecorated Blair House, the President's official guest house. 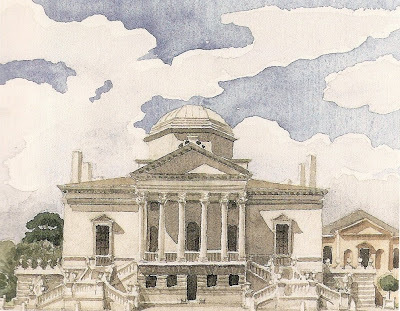 In her book, Duane Hampton quotes Adele Chatfield-Taylor, president of The American Academy in Rome, as she observed that "Mark was routinely described as a Renaissance man, because [in addition to being a decorator] he was a considerable art historian, a builder, a reader, a writer, a gardener, a painter, a musician, an avid traveler, a man of wildly high spirits and IQ and a screamingly funny, champion friend." His work is detailed, personal, witty, beautiful and is never without an aspect he highly prized - coziness. The Art of Friendship is just one of several books by or about Mark, all of which I am certain you would enjoy! 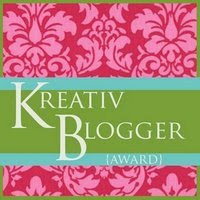 I want to thank Karen of Art by Karena and the girls at Chic Coles Design for awarding me the "Kreative Blogger Award". I have been pretty busy lately, so it's taken me a while to get to respond and I apologize for the delay, ladies! Part of the award involves listing 7 little-known facts about yourself and posting a link to the blogs who awarded you. Everyone I know has been awarded lately, so I will spare tagging anyone else right now. I am going to sign off a little early this week, since I have a ton that I need to accomplish, so thanks so much for reading and I hope that you all have a wonderful weekend!! See you on Monday! 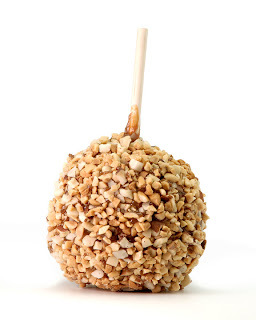 My favorite thing about Fall is caramel apples and roasted chestnuts with lots of butter! This is now available as a print in my Etsy shop. 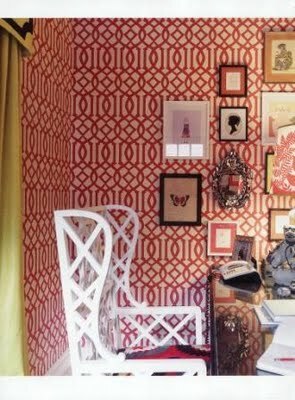 A very sincere, but somewhat belated congratulations to my blogging friend Anna Spiro whose gorgeous home was featured in Australian Vogue Living recently. The September/October issue just arrived in my local bookstore and it was a lot of fun to see one of my prints in a photo of her office. As most of you already know, Anna has her own umistakable style that she is well known and loved for, well beyond the confines of Australia. 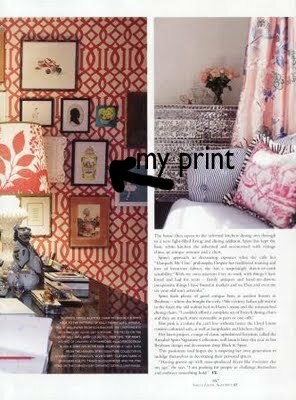 Australian Vogue Living is pure eye candy and one of my favorite design magazines. I have a special affection for all of my wonderful Aussie friends, clients and fellow bloggers who have been tremendously kind to me and supportive of my work. I can certainly see why Australians have the reputation they do for possessing an extreme like-ability factor. You can see more photos and read Anna's post here. No, this is not an ad for Starbucks and I am not receiving any compensation other than a smile. This is my nephew Sam enjoying his coffee - a treat for him. I hope that you take a minute for a break this weekend, whether it's with coffee or something else you enjoy......after all, it's the little things that keep you going! Have a terrific weekend. Vaness O'Sullivan of Australian blog "Gelati Art"
and Cristin of San Francisco blog "The Simplified Bee"
I am so grateful for such amazing support in the blog and design community! Here's a few thank you's for mentions within the last week. 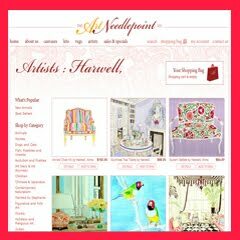 Take a minute to check out these great blogs if you haven't already. WHAT'S NEW AT PIXIE DUST DECOR? Pixie Dust Decor sent me their new look book and it was chock-full of great new crib ensembles, adorable fabrics and wonderful new items like these kid's aprons. If you are a mom, grandma or just someone in search of a unique baby or children's gift, please check out Pixie Dust Decor. The owner, Stacy McCallum, is not only immensely talented, but wonderful to deal with as well, providing excellent and personal service. Everything is made here in the USA, down to the very fabrics she designs, and those are so cute, you might even be tempted to steal them from the kids! The winners of last weeks Envirosax give-away were Jacqueline and Anne! Congratulations to you both!! Please contact me with your mailing address here so we can get your prizes sent off to you. I apologize for being late with the announcement - I have been so swamped lately that I forgot about it! Thanks to everyone who entered and especially to Envirosax for sponsoring the give-away. These new votive holders from Annechovie sponsor The Inglenook Decor are very chic. Perfect for this time of year and the upcoming holiday season when you want to set a festive mood with some candlelight and sparkle in your home. I personally love the unique shape and mercury glass look. You can find them here. Enough said. Sometimes in life there are, shall we say, "very difficult" people who might benefit from a friendly "reminder" tinged with humor. Art can be a way of expressing emotions in a healthy context, no? 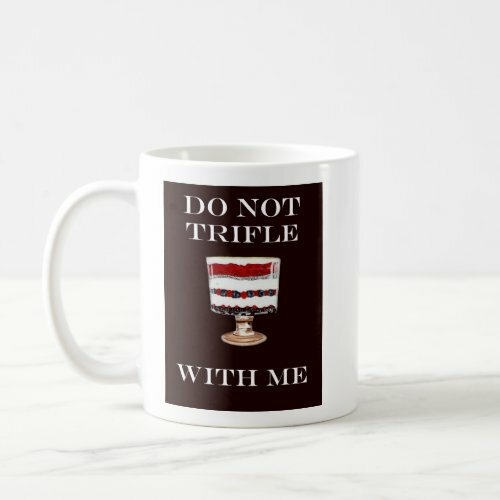 on a mug as well (wink, wink). You can find the print and cards here OR click on link directly above for mug. Thanks to all of my great readers and customers who brighten my days. I hope you all have a great weekend and don't let the "mean cats" in your life get you down! I wanted to share one of my recent commissions of a lovely stone cottage in France. It sits directly next to a pristine castle in a Medieval village with gorgeous views of the Dordogne River. This was just restored by a fellow American blogger and her husband and is available for vacation rentals. They did a fabulous job of restoring it to its former glory, while adding all the modern amenities. You can check out more photos and details here. If you're interested in having your own cottage or castle immortalized by me, please don't hesitate to contact me for pricing and details here. 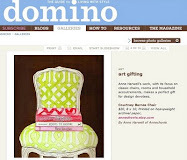 Envirosax is generously hosting a give-away for Annechovie readers. 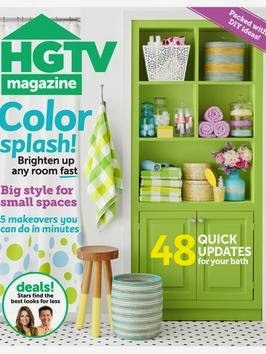 Two lucky readers will be able to sample the convenience of going green with Envirosax! Envirosax bags come rolled up like this - they're the perfect size to carry in your purse, pocket, or glove box. 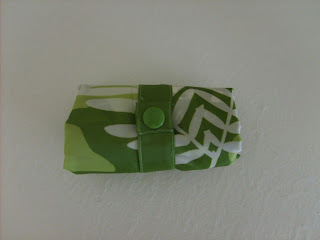 The little self-tab ensures their tidy tucking away after use. Here's my bag, stuffed full of packaged orders to be carried to the post office and mailed off to my customers! 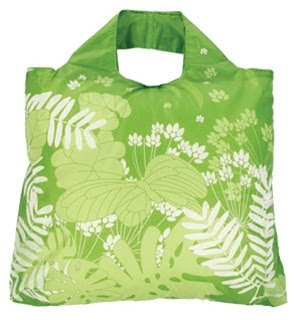 These lightweight, yet sturdy, bags are perfect for carrying groceries, beach supplies, laundry, you name it. These bags come in a myriad of great colors and designs and are as practical as they are attractive. You can even pop them in the washer! go to http://www.envirosax.com/, pick out your two favorite bags, and then come back to this post, listing your top 2 faves and leaving your email address (to contact you if you're chosen). There will be 2 winners chosen via random.org who will each receive a free bag. Entries will be accepted until the end of this Friday, October 9th at 12 am EST and the winner will be announced on the following Monday. Preppy is not just for humans any more! 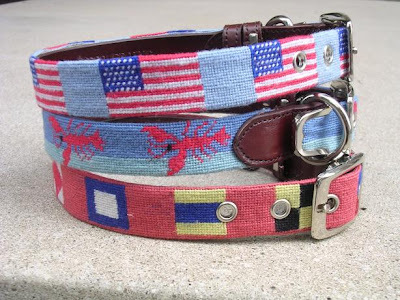 Check out these needlepoint dog collars - brand new at Tucker Blair. Spiff up your furry little friends and make them the best-dressed on the block! 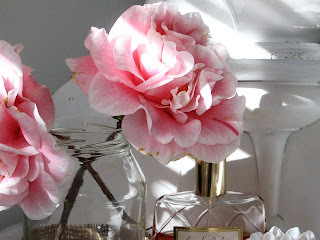 Have a beautiful weekend and I will see you here on Monday with a new give-away! I wanted to send out special thank you's to artist Lara Harris of A Vintage Touch for her interview post on me last week. I'd also I'd like to welcome brand-new blogger Amy Black of The Huntress Lives and thank her for her feature on my work! 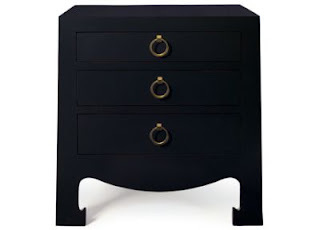 Also, thank you to Kathy Passarette of Creative Expressions and Lisa Porter of The Lisa Porter Collection for the kind mentions on their blogs as well!